Creative Tuesdays’ theme is “An Old World Christmas”. My Christmas scene includes a wooden reindeer on button wheels with a Mommy bunny dressed in a 1950’s-style red coat who is cradling her baby. That’s old world enough for me. This scene also reminds me of my mother who I love and appreciate more and more the older I get. I don’t know how many more Christmas’ we’ll share, but I pray for at least another thirty years. The red coat I painted also reminds me of a Christmas Eve from a very, long time ago. I snatched my biggest gift from under the Charley Brown Christmas tree. Off flew the ribbon, the paper, and the bow. “Yippee!” I darted to the living room window and stared out into the dimly lit street. “Can I go for a walk?” I asked, jamming my arms in the sleeves. I giggled. “Thanks, Mom, you’re the best.” I squeezed her waist so tight she gasped. The side door slammed behind me. Snow crunched beneath my boots. The wind howled, making the falling snow swirl in a dance under the beaming street lights. I ran my fingers down the side of the hood. Who cares if it’s fake fur, I love it! With a frozen grin, I sprinted up and down the street for hours. That red coat was the best Christmas gift I ever received. Okay, it was the second best Christmas gift. The first was when I accepted God’s greatest gift, His Son, Jesus. And since Christmas is a time for gift giving, here’s a gift from me to you—a free coloring page that you could color or paint to give to your mom or another special woman in your life. But hurry, this offer expires December 31, 2015 at midnight. P.S. In order to receive “better-than-Hallmark-quality greeting cards” in time for Christmas, the last day to order is this Thursday, December 10th, 2015 by midnight. Click the highlighted link and you’ll be swept into my whimsical shop. See you there! P.P.S. For more inspiring art, visit Creative Tuesdays’ blog. CREATIVE TUESDAYS–AN OLD WORLD CHRISTMAS & A RED COAT first appeared on Tracy Campbell’s blog. WHY IS IT IMPORTANT TO HAVE A THANKFUL HEART? Thankfulness removes the sting of hardships. If I dwell on any hardship, rain threatens to soak my heart. Instead, I choose to dwell on thankfulness in the midst of my hardships. When I do, the sun shines in my heart. #LET’S BE THANKFUL … EVERYDAY! And a very HAPPY THANKSGIVING to my American neighbors. P.S. Matilda and I are also thankful for the greeting card orders we received. And it’s not too late to place your–> Christmas order. What Reminds You of Your Childhood? Summer officially began eight days ago. Yippee! I’m taking a blogging break to finish up a slew of writing and art projects, and I’ll spend time with friends and family, sipping tea and coffee on my porch. Before I disappear for the summer, I hope you’ll lend your support and pop on over to Family and Faith Matters to read my guest post, “Six Items Everyone Needs to Have Hanging in Their Closet.” Now, I’m not saying I wear them well, but I try. I’m sad to report that on December 31, 2014 the Family and Faith Matters blog will be closing up shop. So I’ve attached my original post below. 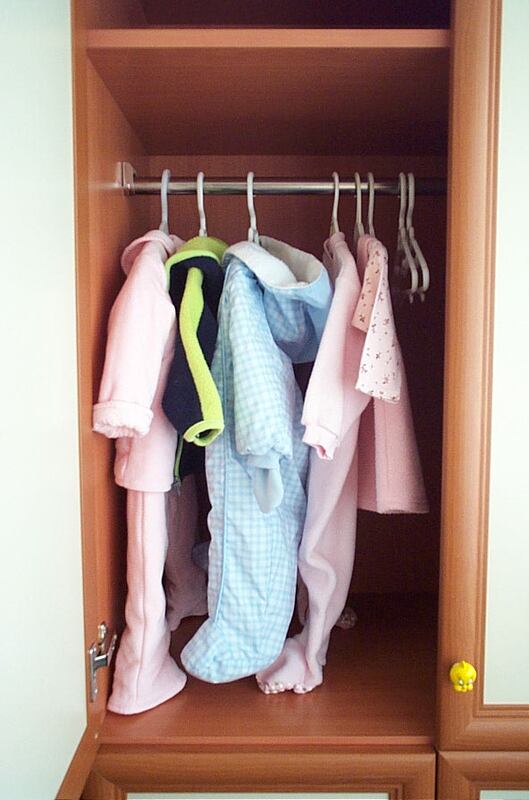 Growing up, my four siblings and I had clothes hanging in our closets, thanks to a dad who worked three jobs and a crafty mom who knit and sewed our clothes (minus the undergarments). Mom even whipped up a faux beaver coat for me—one to match my childhood bucked teeth. Mom also scoured thrift shops. One time, she unearthed a treasure—leatherette pants that squeaked louder than a mouse whenever I walked or sat down. I complained that I had to wear hand-made and hand-me-down clothes. Mom said I needed to be grateful, as we were fortunate and blessed. And she said that it was time I learned how to wear a shirt of humbleness. And so I trudged down the street in search of a babysitting gig, rolling my eyes faster than a bowling ball lobbed down the alley. Despite Mom cutting me off (my parents still bought the essentials—boots and snowsuits), I learned how to wear discipline. Today, that discipline helps me manage money effectively. Mom also told me I’d have to wear compassion on my sleeve. Well, if compassion is what she wanted, I happily compiled. It wasn’t long before I brought home a stray. Not a cat or a dog, but a smelly kid. Mom wore her kindness on a washcloth. She plopped the filthy kid into the tub and scrubbed her until a black film coated the sides. She included the girl in our family meal, and then sent the kid packing with a garbage bag filled with gently used clothing. Mom wore quiet strength. Well, unless we kids pushed her over the brink. My mom deserves a medal for raising five rambunctious kids. Above all, Mom modeled God’s love. I wish I could report that the six items hanging in my closet are clean and freshly pressed at all times, but I’m still a work in progress. How do you teach and show your children compassion, kindness, humility, quiet strength, discipline, and love? If you want to receive my free posts by email, just enter your email address in the box under “Sign Me Up!” or check off the box after you leave fabulous comments! I’ll never share your email address. Don’t forget to join me on my Facebook page. P.S. My whimsical shop remains open for business.